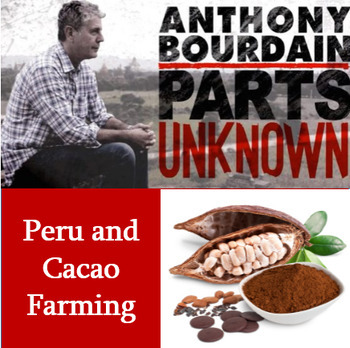 Anthony Bourdain and Eric Ripert visit Peru to learn about the cacao industry and its relation to the culture of Peru. This 14 question guide follows the episode about the complexities of industry and culture. This was made as an enrichment activity for a APHG Agriculture unit, but would be useful in other contents.